If you want to dress up as one of the mighty pharaohs in ancient Egypt then you'll have to make sure you have the most divine accessories. 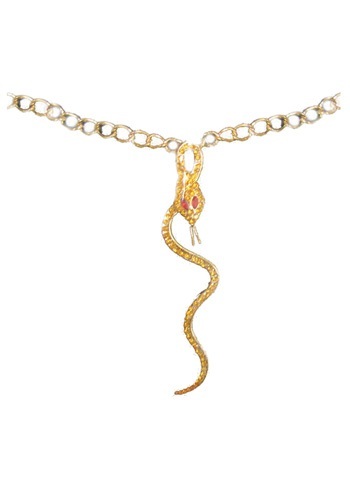 Start off your costume with this Egyptian Snake Necklace. It's gold, has rubies, and, best of all, has the symbol of the serpent. In ancient times the snake was symbolized as the protector of the Pharaoh, the country, and all other deities even! The Egyptian cobra also held the all-seeing eye of wisdom and vengeance. So when you're wearing this necklace with your pharaoh guise, you'll be revered as the wisest ruler in the desert. Others won't even want to bother messing with you and your kingdom because they know that your wrath will strike back in tenfold. 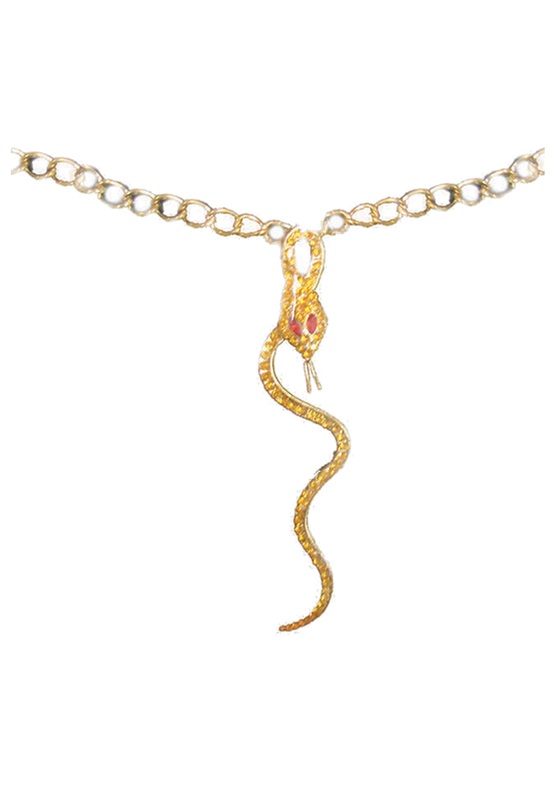 Whether you want to be an ancient ruler of Egypt or an almighty snake goddess for Halloween, this beautiful golden Snake Necklace will be the perfect symbol of your endless power!